Gold sheet. Incised details. 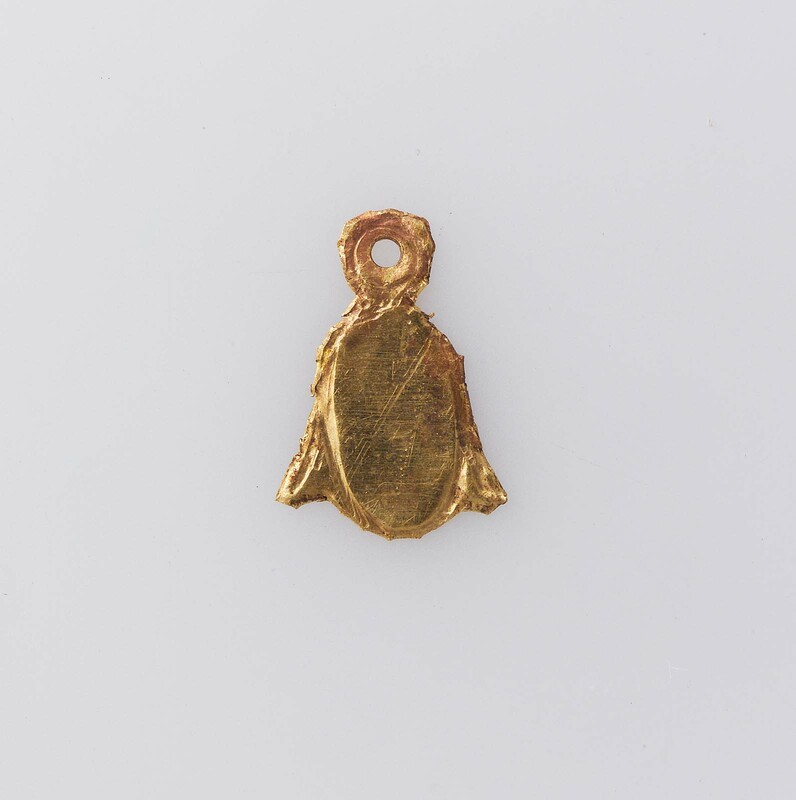 This is an amulet of a full moon and crescent. [29.1515 - 1520 form a set]. From Giza: G 7661 A, Room VII [Excav. date] April 27, 1929. Excavated by the Harvard University–Museum of Fine Arts Expedition; assigned to the MFA by the government of Egypt.